On Sunday afternoon 6 October, 2013, ACT Rangers spotted a remote bushfire burning on the Northern slopes of Mount Namadgi whilst on foot-patrol high up in the Namadgi National Park, ACT. 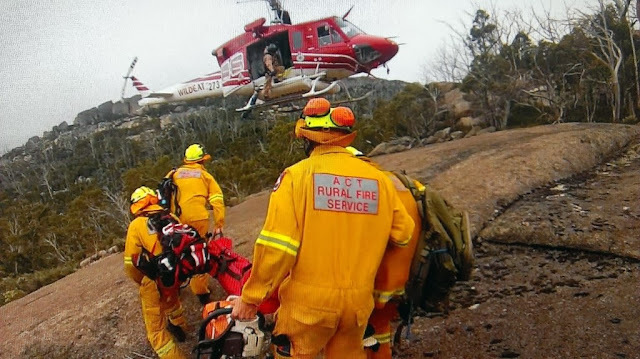 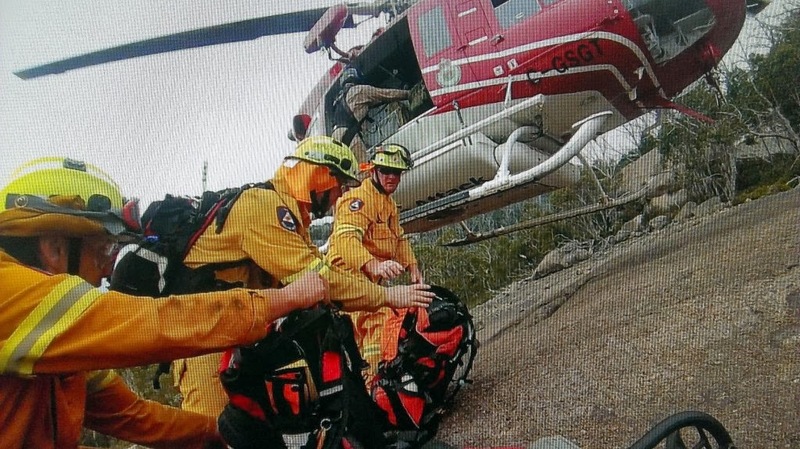 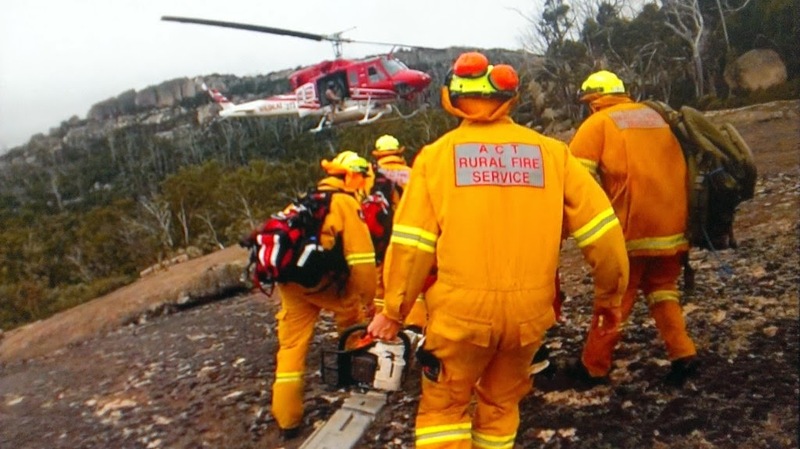 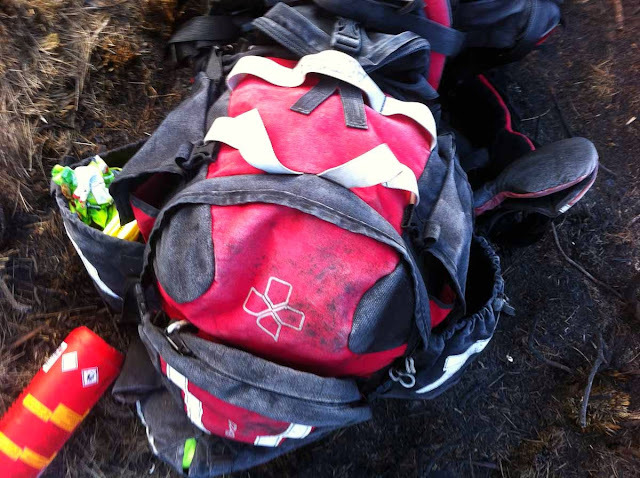 The ACT Rural Fire Service initially responded 7 units to the scene, and after an initial observation flight by South Care helicopter, two Remote Area Firefighting Teams (RAFT) and two aircraft were despatched to carry out water bombing operations and manual containment activities. 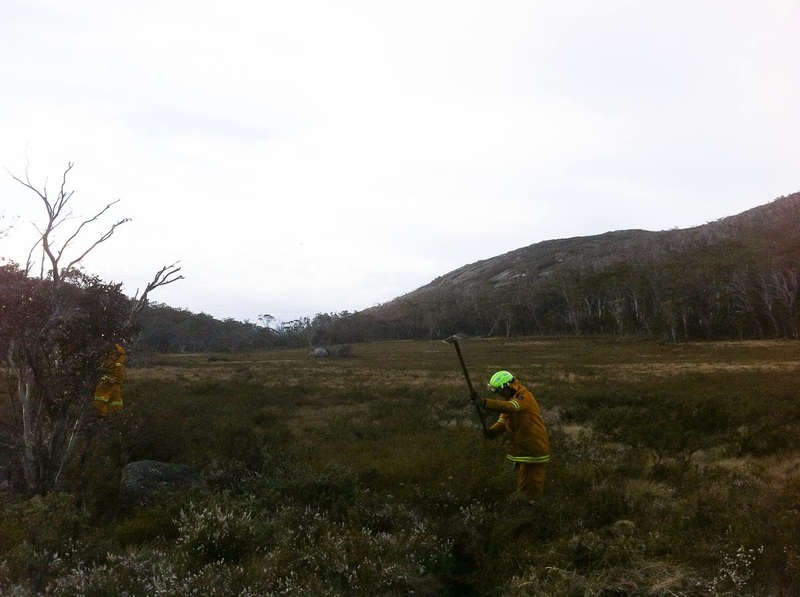 Crews worked through the night and next day and successfully constructed a bare-earth containment line around the entire perimeter of the fire using hand tools called "rake-hoes". 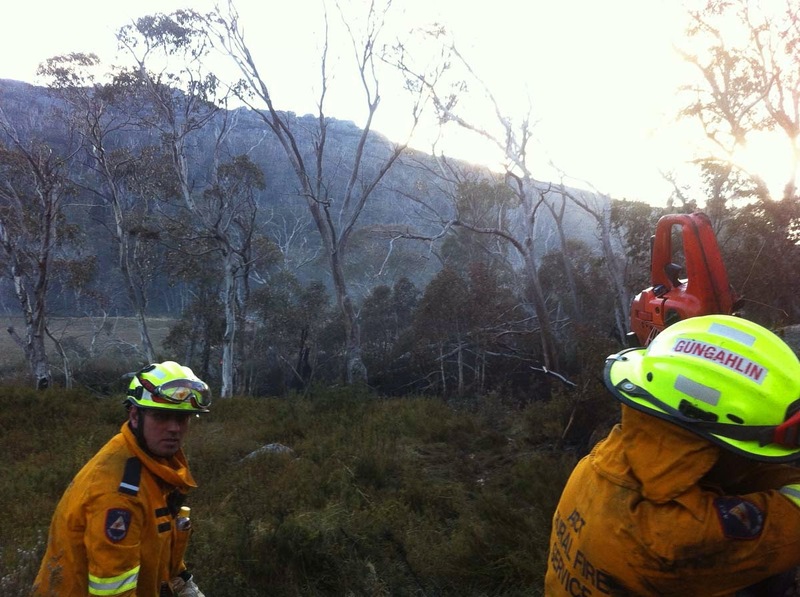 The fire was approximately 18.2 hectares in size and was completely extinguished by Tuesday 8 Oct 2013 thanks to the tremendous efforts of the RAFT crews, helicopter crews and other support resources. 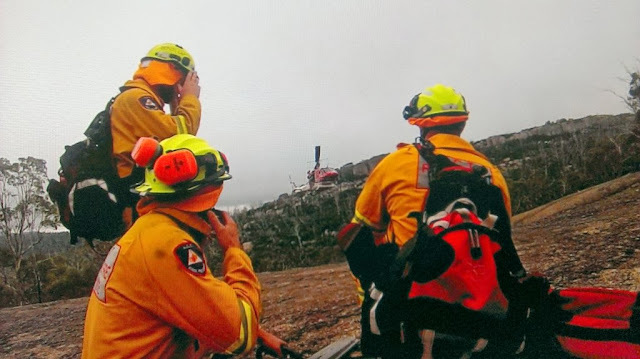 The cause of fire has been identified as an abandoned campfire following a formal investigation at the scene by ACT Rural Fire Service fire investigators. 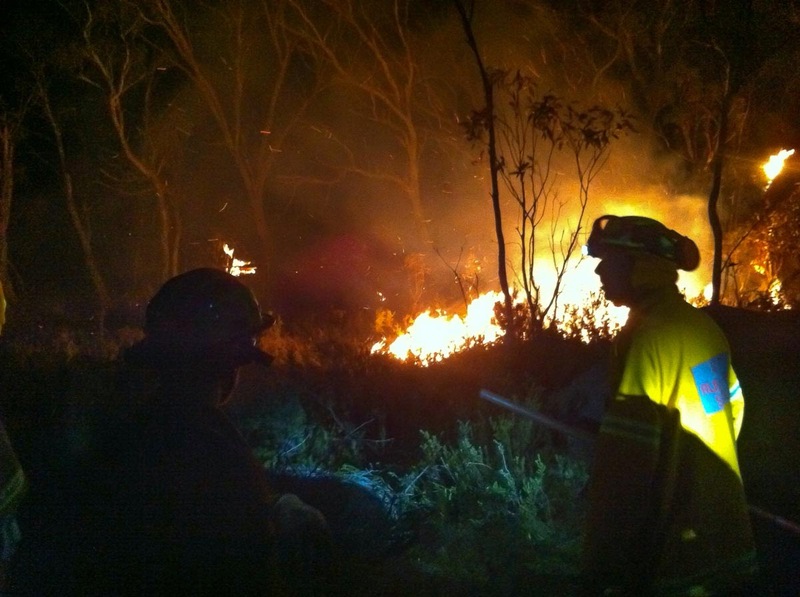 RAFT Crews work through the night to create a bare earth containment line. 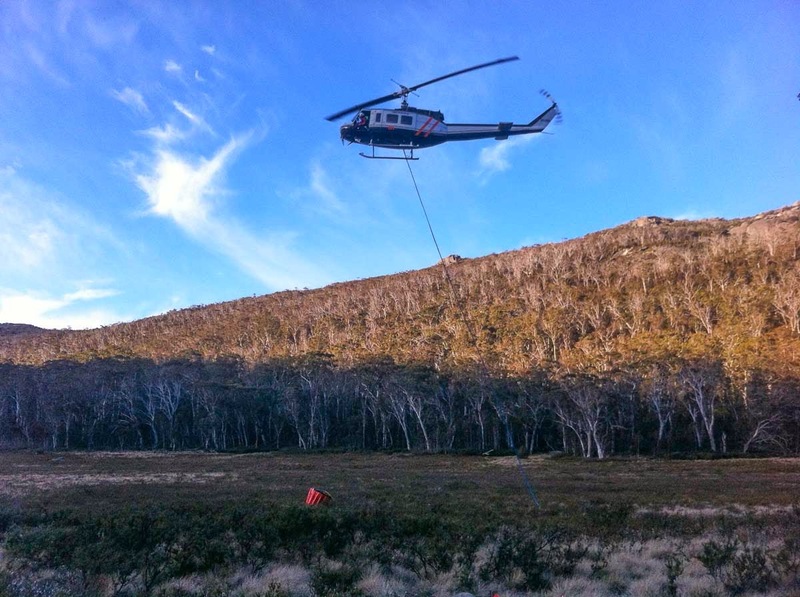 Terry from Jerra building a containment line on Creamy Flats with chopper in distance. 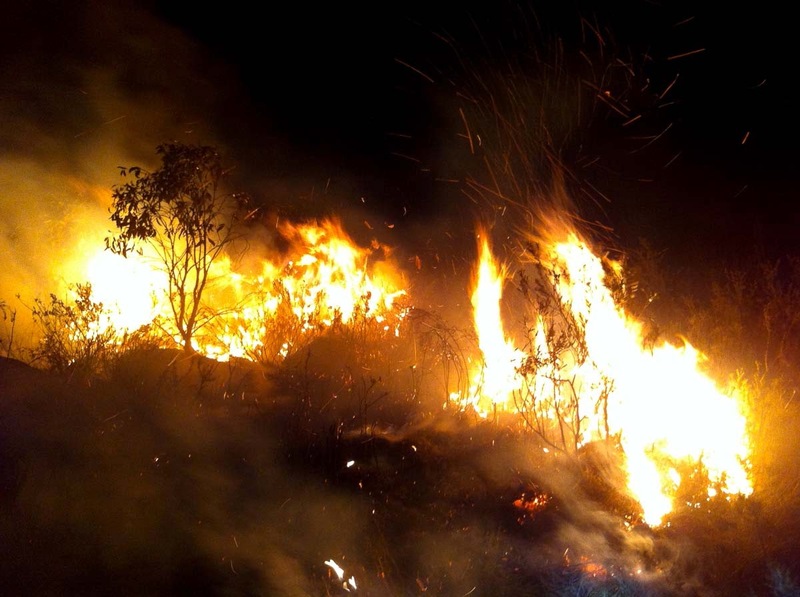 Fire in Tea Tree growth. 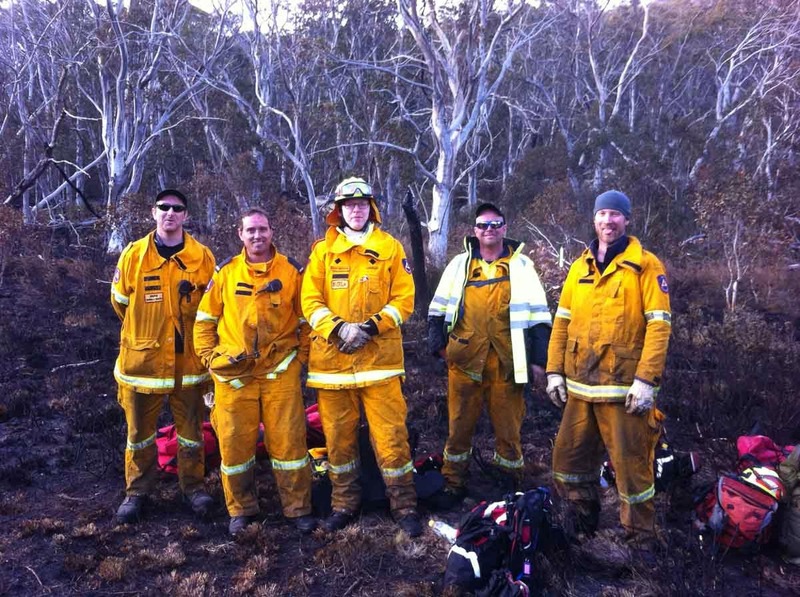 Part of the RFS crew L to R Simon Leigh (Tid), Phil ?, Martin Greenwood (Rivers), Terry ?, Andrew Hutchinson (missing from photo Rob Gore and Travis from Jerra).